The biggest surprise to most sellers of commercial property is that the average time to find a buyer is well over one year. 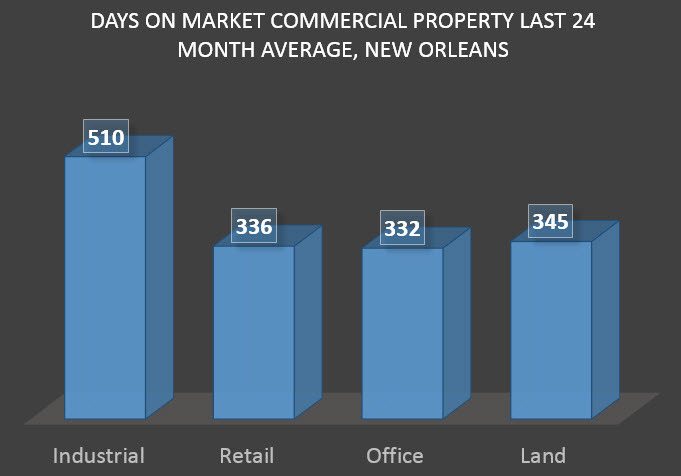 For example, in New Orleans, the average industrial property for sale or lease in the last 24 months has been on the market 510 days. And still counting. The industrial sector has the longest waiting period. There are 81 industrial properties for sale or lease totaling 1.4 million square feet, with 632,000 square feet for lease and 770,000 square feet for sale. 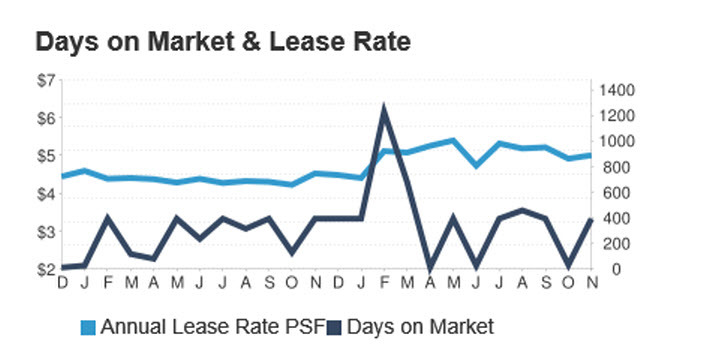 Of the properties on the market today, the average lease rate is $5 PSF and the average sale price is $40 PSF. Contrast this with the residential market where in uptown New Orleans the average time it took to find a buyer was 46 days. But that doesn’t tell the whole story. 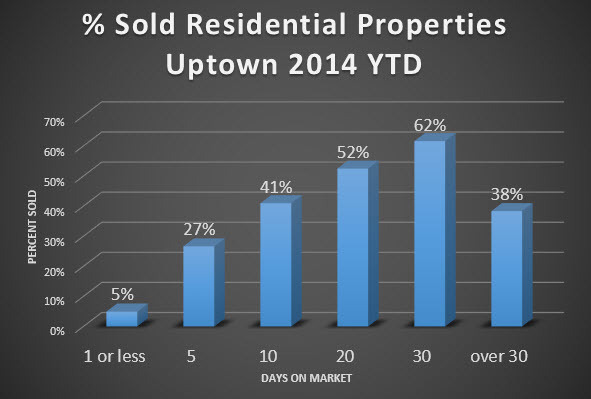 Of the 503 residential properties so far in 2014 that sold, 27% sold within 5 days and 5% sold within one day. So the benchmarks we might have for residential property do not apply to commercial property. Each type of commercial property has its own supply and demand curve, with the economics of retail and office property making those sectors in higher demand than industrial property; therefore, the days on the market are less but still average almost one year. There are 381 office properties for sale and for lease totaling 2.7 million square feet with 2 million square feet for lease and 700,000 square feet for sale. Lease prices average $15.60 PSF and sale prices average $64 PSF. The average office property has been on the market for 332 days. There are 179 retail properties for sale and for lease totaling 915,000 square feet with 600,000 square feet for lease and 300,000 square feet for sale. Retail prices average $14 PSF and sale prices average $118 PSF. The average retail property has been on the market for 336 days. There are 102 land sites for sale and for lease totaling 119 million square feet with 1 million square feet for lease and 118 million square feet for sale. Lease prices average $1.40 PSF and sale prices average $2 PSF. The average land site has been on the market for 345 days. Compiling a Marketing Presentation that includes information to create demand for your property, such as zoning and permitted uses. Getting your property to come up on the first page in a Google search. Promoting your property locally and also nationally to a target market that is most likely to buy or lease your property.